Home / Blogger Tips / How To Impress Your Blog Readers? As a layman, you have definitely heard about impressing a girl to win her heart & make her the girl friend. But do you have any idea what should be your thinking as a blogger. Almost every man in this world wants to impress the girl by using various techniques. Similar is the case with blogs as bloggers want to impress his blog visitors by keeping them engaged in his blog. Good thing with blogging is that you earn money while for girl friend, you have to consume money. 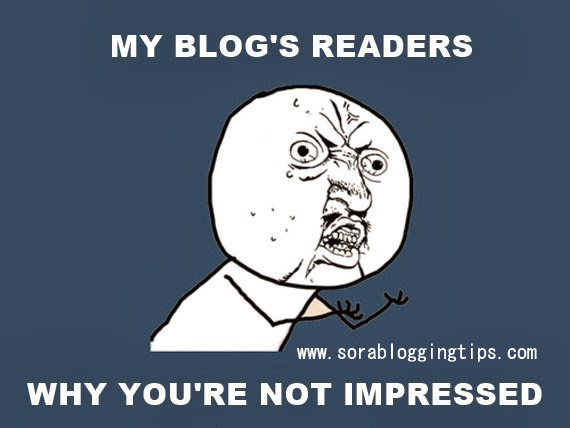 Believe me it is as not difficult to impress blog readers as it is assumed. What you need is the right ingredients and selection of the right time of each ingredient to be included in the recipe of success. The more effort you will put into, the better would be the recipe. 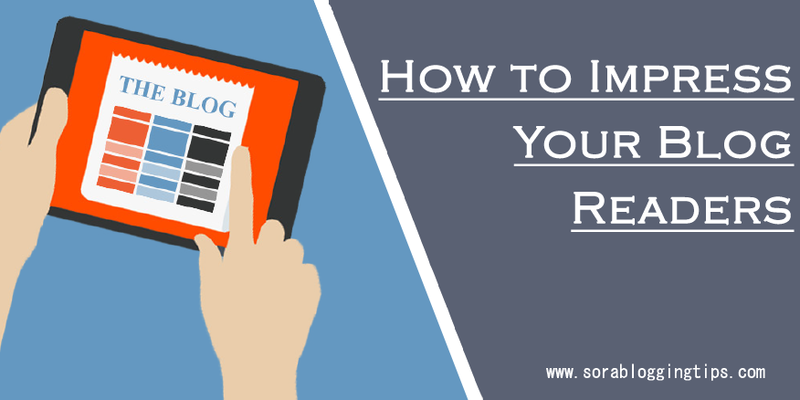 In this article, we will guide you how to impress your blog readers. In order to write a quality content, you must be an expert in the niche. So if you are accounts & finance professional, then you are advised to start a blog over Accounts & finance niche. The top SEO (Search Engine Optimization) experts believe that content is king. If your contents are extra ordinary brilliant, then you should expect a blow of traffic to your blog as readers/ visitors will return back to your blog for more useful information & enhancing their knowledge. I have seen various cases that blogger starts a blog over niche where they are zero as far as the knowledge is concerned. So the failure is quite predictable unless you hire some one to write for you. But for this, you have to invest heavily & as we know many newbie bloggers have little money to start the journey. So not everYone can afford to hire some one to write for him. Usually, a good writer charges 15$ per 1000 words. You may find writers who can do the same task in few dollars but this will reflect in the quality of writing. So reading this, visitors will not get impressed. Also keep in mind that a good blog design helps a lot in impressing the blog readers. Good design encompass balance layout & use of right color combinations. Apart from these, you should use right font size with reader font type so that readers/ blog visitors could easily read the text. The navigation should be easy to use so that visitor could be aware of where to get the perfect data as per there search. Also keep in mind that themes/design should match with the concept/niche of your blog. If your blog is about sports, you should use sports related themes. Apart from this, you may also choose responsive themes which are very popular now-a-days. You may give these responsive themes a chance to judge how to impress the blog readers. Giveaways are the best thing which can turn your blog into a million dollar business platform. Though, Giveaways require investment, if this technique is used wisely & properly planned, then traffic will flow tremendously to your blog. You may start a competition over the blog that whoever promotes your blog any one else, will be given free software license or any other item. Even bloggers offer dinner in a five star hotel or travel to outside the country. Just imagine how people will drive to your blog on a regular basis. Is it not the good idea to impress the blog readers? Blog features comment system. If you have decent amount of traffic, then you should be getting a high volume of comments from blog readers. In order to impress your blog readers, you should reply to each comment. Comments may be sort of appreciation or criticism. Always give a polite reply & appreciate the readers that they have given their precious time to pass on the comment. If in comments, any help is asked for the topic/point or any related thing, then you should give a comprehensive reply. This will definitely a big factor for how to impress blog readers. People like to visit blogs which have high amount of traffic. The reason behind that they want some interactive communication as well. Like me no one wants to go a house which has no humans in it. The same is the case with blogs. If your blog gets huge traffic, visitors will revert back to your blog on a daily basis. In order to impress them, you may create a posts such Traffic & Earning Report M/o April 2016. In the post, you should disclose snaps of your traffic using Google Analytics. People have great trust over Google, so your report will be assumed as original. Apart from this, you can disclose snaps of your earning from Adsense or other advertisement blogs. But keep in mind, you should hide CTR & impressions data hidden as Adsense may suspend your blog for displaying Google Adsense advertisements. Do not disclose technical data as this may invite hackers to attack your site/ blog and leave you in desert. So do wise things & don't try to be over smart. You should be well aware of the sensitivity of the information. Because if you are making smart money from blog, it means you have many enemies all around you. Dear friends, in this post we tried to emphasise the importance of blog readers & how you can impress them. If you are able to impress them, you will definitely going to build a million dollar business by just sitting from your house. Never give a single opportunity to impress your blog readers. Success is not a short cut, it is a lengthy phase which you need to achieve by dividing your goals & objectives into several phases. The achievement of each phase will confirm the achievement the overall goals & objectives.